But I believe that there will be no more flowers after this one has bloomed. 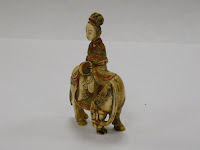 All they will be are ill-successful flower seekers. 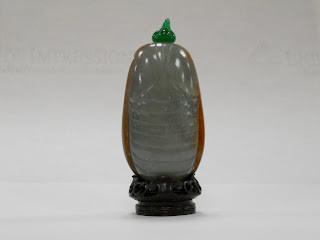 Also in the collection is a jade snuff bottle in the shape of a large cicada, or locust, with a greenish stomach, reddish-brown wings, and a head with black spots. The creature symbolized reincarnation. Jade, or “yu,” means “gem supreme” and was a favorite stone of China and used in many decorative arts. 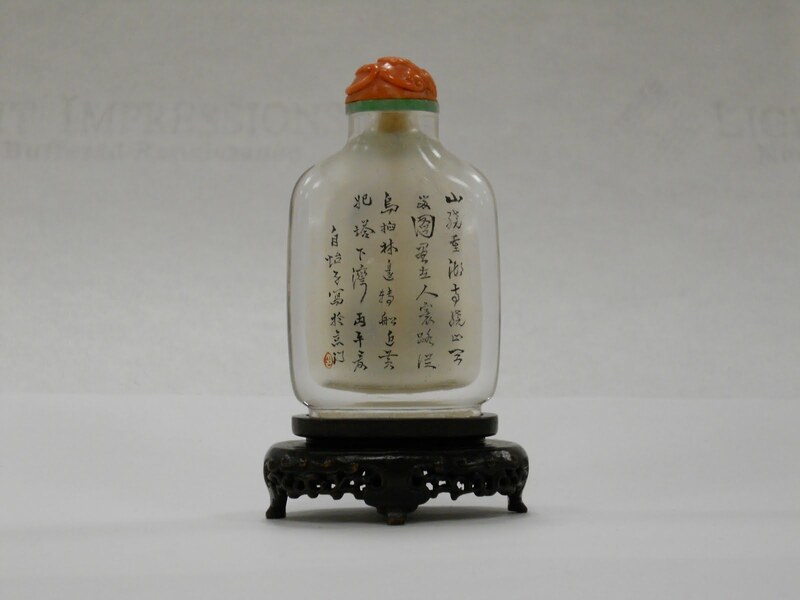 The jade in this bottle dates back to the Sung period (960-1279 C.E.) Glass represents one of the more common materials of Chinese snuff bottles; glass bottles appear in several forms, including monochrome, painted, cameo, mottled, or glass imitations of other stones. 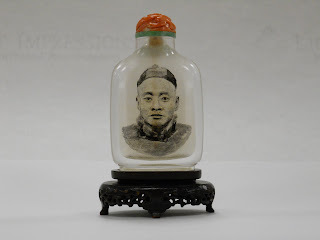 The nearby image of a glass snuff bottle with interior painting shows a portrait of a Manchu man wearing a winter coat and round hat. 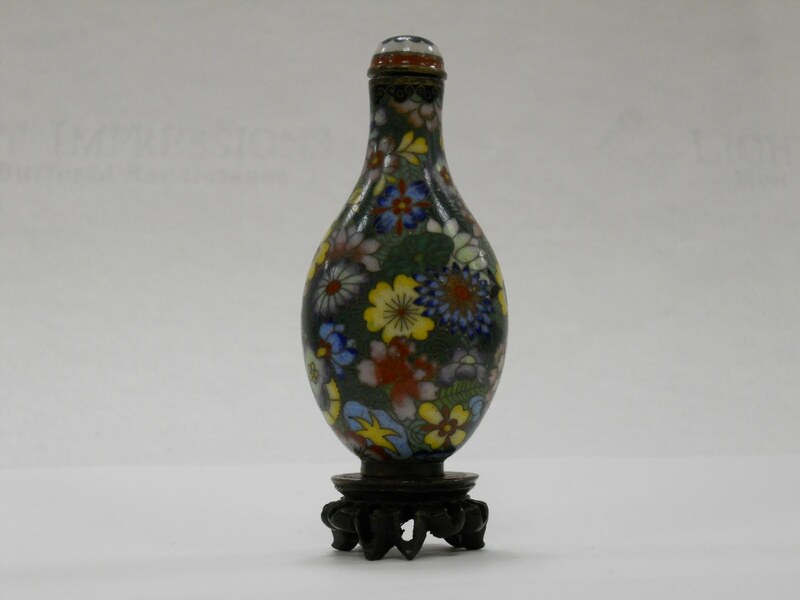 Other materials used to make snuff bottles include turquoise, mother of pearl, ivory, and lacquer. While most bottles were created in flattened, oval, and tubular shapes, some, like the one pictured nearby, resembled human figures. 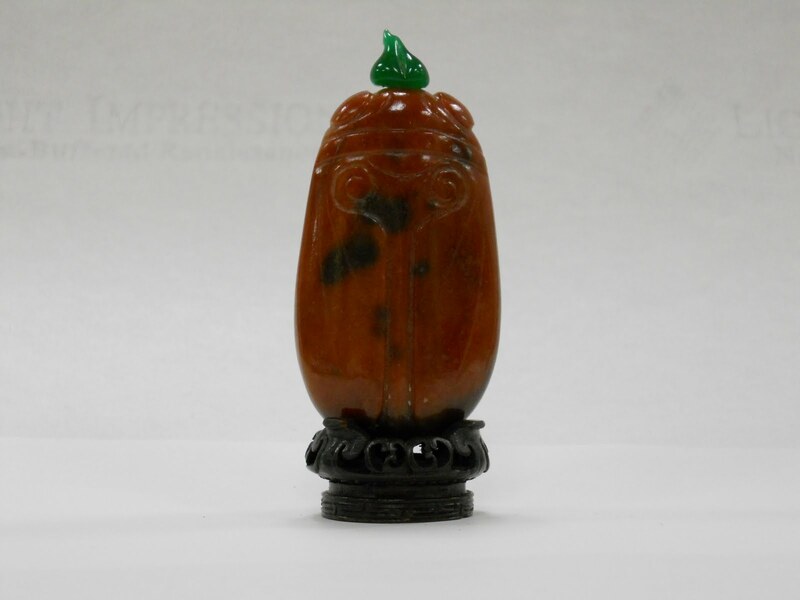 In addition to the 47 snuff bottles, the collection also contains several hand-carved wooden stands. 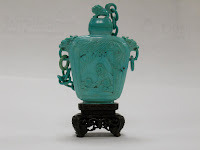 One example is a carved turquoise snuff bottle with a chained cover; carved dragon-head handles adorn this bottle with a chain of links connected to a Fu lion. 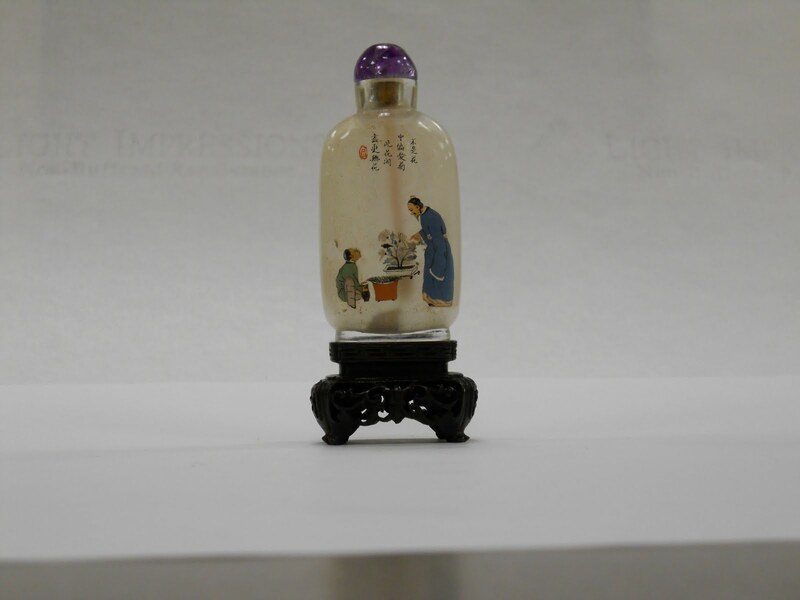 Additionally, the bottle shows a mother and her two small children at a table before a window. Another example is a rare gold lacquer and pietra dura bottle made with amber lacquer, with a tessellated gold ground depicting a scene of three small boys picking peaches. 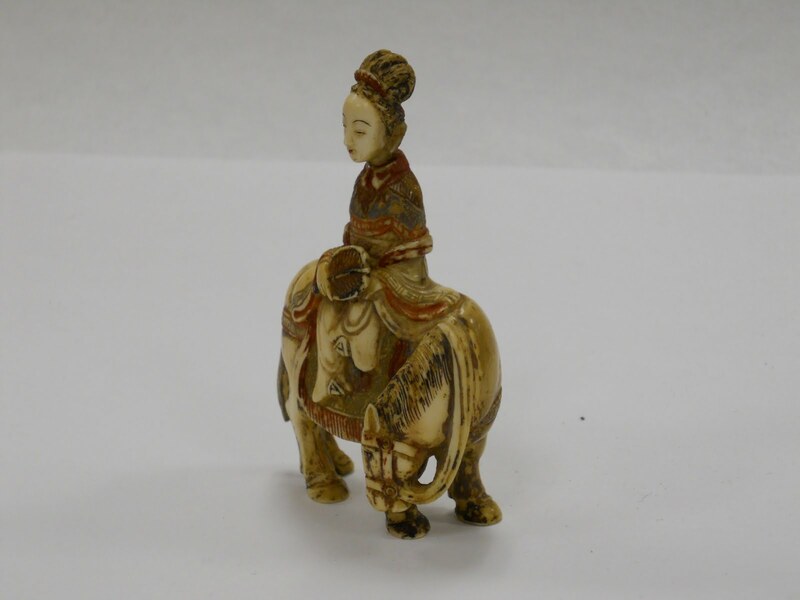 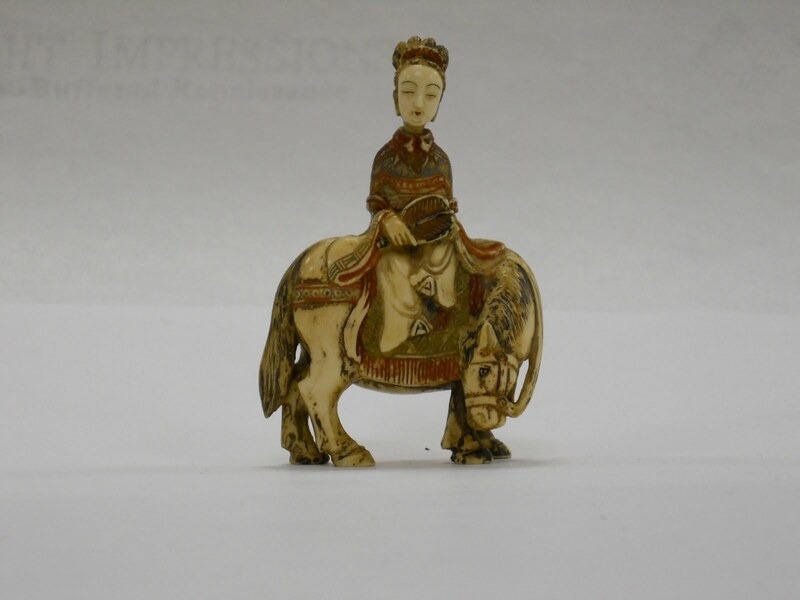 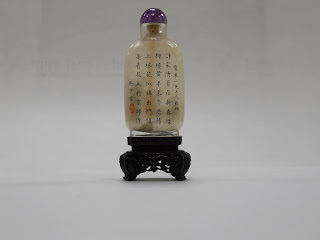 For more information about the Jack J. and Therese G. Katz Chinese Snuff Bottle collection, please see the finding aid. Lilla S. Perry, Chinese Snuff Bottles: The Adventures & Studies of a Collector (Rutland, VT: Charles E. Tuttle Company Publishers, 1960). Jessica Rawson, et. 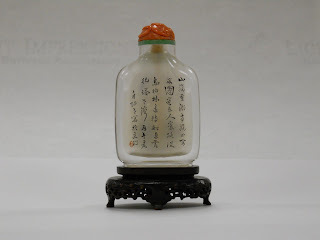 al., “China, §XIII, 25: Snuff bottles,” Grove Art Online. 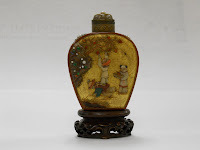 http://www.oxfordaronline.com:80/subscriber/article/grove/art/TO16513pg57. Accessed June 23, 2011.